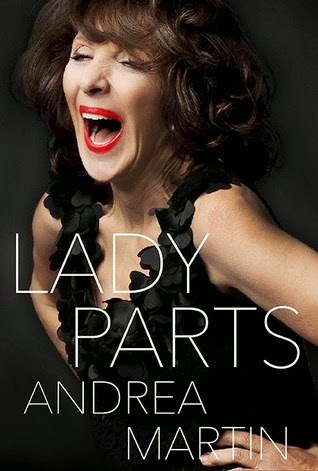 Description: Whether lighting up the small screen, stealing scenes on the big screen or starring on the stage, Andrea Martin has long entertained Canadians with her hilarious characterizations and heartwarming performances. An important player in SCTV, the funniest show ever to come out of Canada, Martin helped change the face of television by introducing us to a host of characters, including the indomitable Edith Prickley. Martin has worked stages, sets and even trapezes across North America, playing to houses packed with adoring fans, all of whom instantly recognize the star who has entertained us for nearly forty years. Truly did make me laugh and cry. "I had no conception of what I looked like. I had always adapted to what other people wanted me to be. Without their input my face was a blank canvas." "I will still camp out on Toronto mayor Rob Ford's front lawn if he brings up the ludicrous and decadent idea of closing libraries again." "Recently, I accepted the invitation to write a monthly humour column for ParentsCanada magazine. What was I thinking? I don't remember my kids' names, never mind the way I parented them nearly thirty years ago. Except hat I was anxious all the time. Worried that I was not doing it right, whatever "Doing it right| is supposed to mean." I received this from HarperCollins in exchange for an honest review - Thanks Cory!